The White-crowned Lapwing above was my first Lapwing encountered. They were at the National Aviary in Pittsburg, PA. They are from the tropical regions of Africa and have a diet of insects and other small invertebrates. (Fun Fact from Aviary) ~ White-headed Wattled Lapwings will bravely defend their territories against all comers, even hippos! 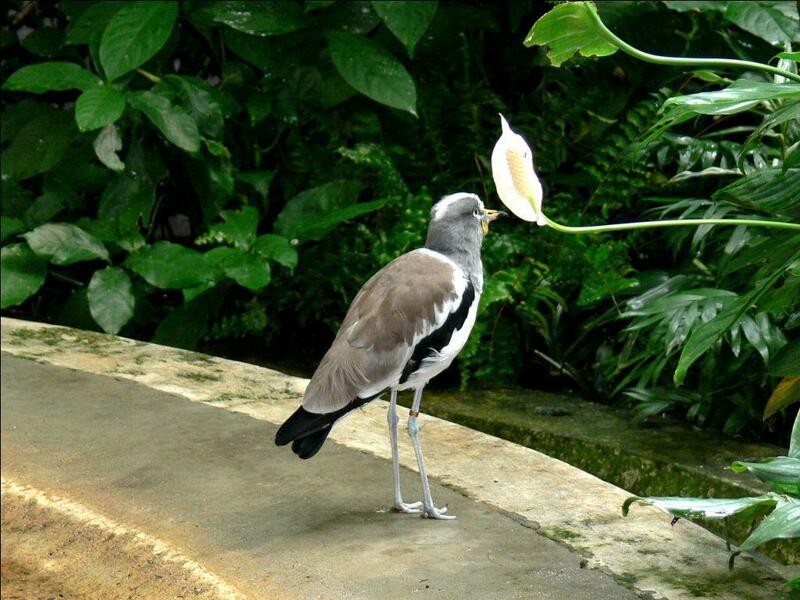 Now almost every zoo we visit has at least one species of Lapwing present. 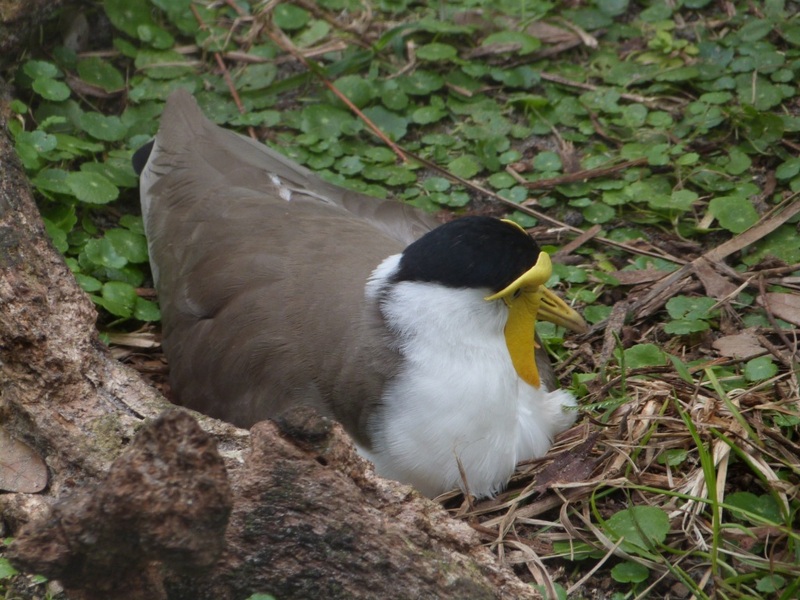 We see the Masked Lapwing most frequently. The reason Lapwings are mentioned in the Bible is because it is on the “Do Not Eat” list. The Masked Lapwings are interesting to watch as they walk around on their long legs and as the “wattle” wiggles. Vanellinae are any of various crested plovers, family Charadriidae, noted for its slow, irregular wingbeat in flight and a shrill, wailing cry. Its length is 10-16 inches. They are a subfamily of medium-sized wading birds which also includes the plovers and dotterels. The Vanellinae are collectively called lapwings but also contain the ancient Red-kneed Dotterel. A lapwing can be thought of as a larger plover. The traditional terms “plover”, “lapwing” and “dotterel” were coined long before modern understandings of the relationships between different groups of birds emerged: in consequence, several of the Vanellinae are still often called “plovers”, and the reverse also applies, albeit more rarely, to some Charadriinae (the “true” plovers and dotterels). Here are some photos of Lapwings in the Vanellinae genera. This entry was posted in Bible Birds, Birds, Birds of the Bible, Birdwatching and tagged Charadriidae, Christian, Creation, Home School, Lapwing, Nature, Photography, Vanellus. Bookmark the permalink.